How do you nest when you largely live on the road? 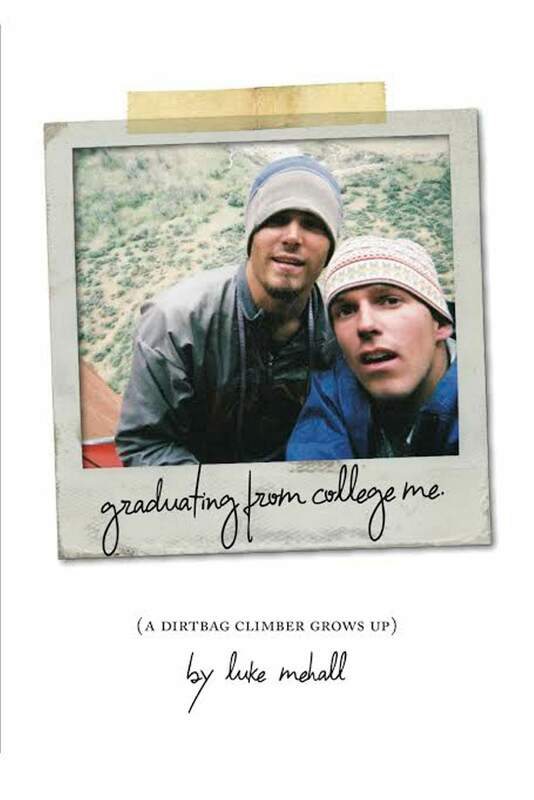 Luke Mehall, author of Great American Dirtbags and American Climber, has released a new book about the trials of growing up a dirtbag. Revisiting the style of his first two books, Graduating From College Me consists of short essays, stories and poetry. This venerable, gritty and heartfelt collection highlights the changes that come with growing up. In Graduating From College Me, Mehall examines how growing up has changed his experiences climbing and his feelings about the dirtbag lifestyle. The changes in gear, the way we communicate with each other (apparently, pagers used to be a big thing) and politics have all changed the ways that climbers get from the bottom of the wall to the top. The expectation to settle down affects who can make it into the wilderness and how often they can stay. These changes are explored in sometimes funny (“The Underwear Story, a Prelude”), sometimes political (“Free Moab and Boulder”) and often memorable short stories. Mixed in are poems that cover subjects from gun control and losing loved ones to the joy that the author feels climbing. Blending dirtbag subjects with a heavy hip-hop influence, “This isn’t poetry/ this is acid rap/ mixed with Kerouac,” says Mehall in “Just For You.” This rapid rhythm pulls the reader along and helps to convey some of the helplessness and anger the author feels about world events and politics. Together, these short stories and poems delve into the sometimes confusing mess of finding your place in the world, and explain some of the difficulties that arise when you search for success outside the traditional definition. At the heart of all this is a conservation story, highlighting the value of the red rock wilderness and exploring the conundrums that often arise trying to protect wilderness: the growing crowds, the added regulations and all we have to lose if we don’t. Not to mention the strain between the locals and the rest of the world: “They don’t even live here, and they want to change our culture.” Mehall laments the loss of the gritty aesthetic of climbing, the fringe space the sport once occupied, but acknowledges the benefits that the extra visibility has brought. Graduating From College Me is heartfelt, candid and, in true Luke Mehall fashion, extremely funny. A great read for anyone who loves climbing, red rock wilderness and poetry. What: Luke Mehall will speak about his new book, Graduating From College Me. More information: Books will be available for purchase at the event, as well as at your favorite local bookstore and https://squareup.com/store/the-climbing-zine.